The plight of Japan’s hikikomori (ひきこもり or voluntary shut-ins), has always been a topic that received a lot of buzz, but has primarily focused on young people affected by this phenomenon. 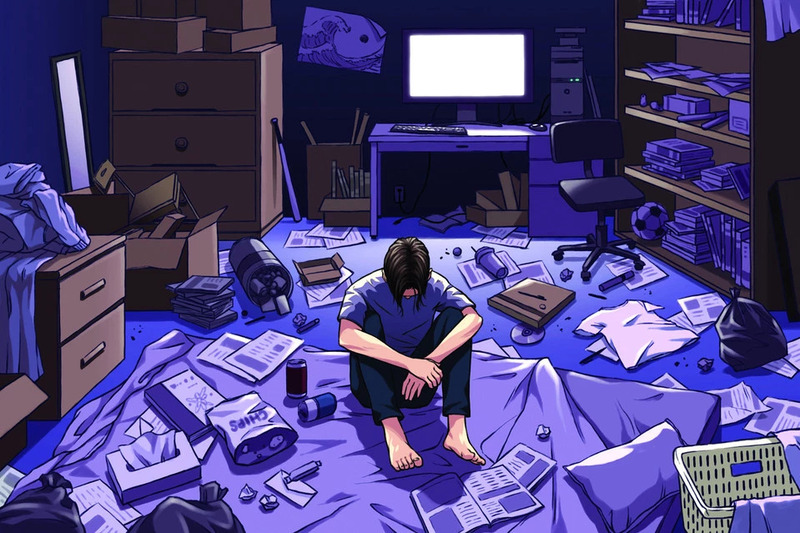 However, according to a recent nationwide survey carried out by the Cabinet Office that was the first of its kind, recent trends indicate that it is actually older people who now comprise a larger percentage of Japan’s hikikomori population (gender-wise, men still comprise the majority of hikikikomori at a rate of around 3:1). 明けましておめでとうございます (Akemashite Omedetou Gozaimasu or Happy New Year)! A bit late, but this is my first post of 2019. Those who have been following the Australian Open tennis tournament know that Kei Nishikori unfortunately had to pull out of his semifinal match against Novak Djokovic due to a leg injury. This was actually his 18th career retirement from a match, a statistic that earned him some bashing, including from commentator John McEnroe. Speaking of controversy, Japanese noodle manufacturer Nissin recently got into some trouble for its ad featuring Nishikori and his countrywoman Naomi Osaka for changing her skin and hair to be lighter and straighter. 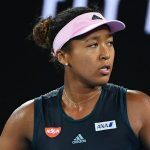 Osaka has blazed her way into the Australian Open final and will be playing Petra Kvitova, and who will win is anyone’s guess. What is known is that the victor will claim the #1 rank, and if it’s Naomi it will be the first time for a Japanese player. For the night owls (or early risers depending on how you think about it), the match will be shown live on ESPN at 3:30 am tomorrow morning. For people like myself who are not in this camp, the match will be replayed at 9 am. Ganbare Naomi! 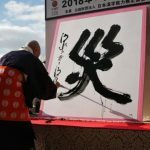 As my last post mentioned we are in the midst of the “best of” season, and the latest is the anno uncement of the kanji of the year. 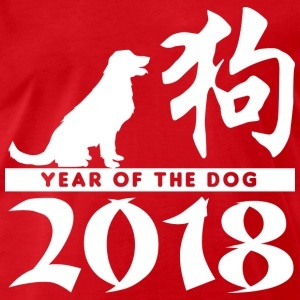 The pick for 2018 is 災 (sai, or disaster), as in 自然災害 (shizen saigai or natural disaster) and 災い (wazawai or trouble/misfortune). As Japan is no stranger to natural disasters, this kanji had been chosen once before in 2004. That was the year of the Niigata Chuetsu Earthquake, the deadliest earthquake to strike Japan since 1995’s Great Hanshin earthquake (incidentally, the kanji of the year tradition began that year with the selection of 震 (shin or earthquake)). This year a big earthquake causing landslides hit Hokkaido, heavy rains caused floods and mudflows in Kyushu, and there were also major heat waves and typhoons throughout the country. But it wasn’t only natural disasters that led to 災. There was also an abundance of man-made disasters such as power harassment in the sports world, Finance Ministry bureaucrats tampering with official documents in a political scandal, and the rigging of entrance exam scores that discriminated against female applicants at medical universities. It’s hard to believe but 2019 is just around the corner, the time when Best of 2018 lists begin to emerge. From Japan, the nominees for this year’s buzzwords have been compiled. The 30 candidates will be whittled down to the top 10 as well as an overall winner, to be announced on December 3 (you can vote for your favorite at the bottom of the link!). Unsurprisingly, many relate to Prime Minister Abe’s work-style reform initiatives (働き方改革 or hatara kikata kaikaku). I hadn’t heard of short-time harassment (ジタハラ・ 時短ハラスメント or jitahara・jitan-harasumento), the pressure employers put on their workers to reduce overtime and maximize productivity, but I was familiar with the high-level professional system (⾼プロ・⾼度プロフェッショナル制度 or kōdo puro・kōdo purofesshonaru seido). 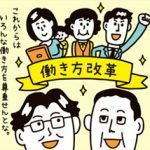 This allows specialists like financial dealers or analysts with ¥10.75 million plus in annual income to be paid based on work performance, rather than hours worked. They won’t receive overtime pay as a result of being exempt from typical regulations, something the opposition party said would lead to longer working hours. It managed to pass and will go into effect for large companies at the start of the next fiscal year. Written by professional Writer/Interpreter/Translator Stacy Smith (Kumamoto-ken CIR, 2000-03), WIT Life is a periodic series about aspects of Japanese culture such as film, food and language. Stacy starts her day by watching Fujisankei’s Japanese news, and here she shares some interesting tidbits and trends along with her own observations. 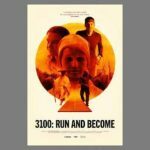 This week the Museum of the Moving Image (MoMI) hosted the premiere of the 2018 documentary 3100: Run and Become from director Sanjay Rawal. It showcases the Self-Transcendence 3100 Mile Race which takes place in Queens every summer. This elite competition requires participants to run this unbelievable distance within 52 days, which means averaging at least 60 miles per day. Competitors come from all over the world, and some have run it as many as 14 times. Rawal also intersperses stories of other amazing distance challenges, such as a member of the Navaho Nation running 110 miles across the desert in memory of his father’s struggles when young, the Gaolo-San Bushmen running in pursuit of their prey and as part of their lifestyle, and the Tendai-shu monks of Mt. Hiei in Japan who carry out a practice of walking to attain enlightenment. Being an avid tennis fan, I was thrilled when my clients asked me if I wanted to join them at the U.S. Open women’s semifinals last night. I was especially excited because not only would I get to see Serena during her “Don’t call it a comeback” tour, but I would get to see Japanese rising tennis superstar Naomi Osaka play live for the first time. Naomi set a personal record by reaching her first Grand Slam quarterfinal here, and she and Kei Nishikori together made history by becoming the first Japanese duo to reach the semifinals of the same Grand Slam tournament. The last time Japanese players advanced into the later rounds simultaneously was back in 1996, when Shuzo Matsuoka and Kimiko Date reached their respective quarterfinals at Wimbledon (Shuzo incidentally was Kei’s coach in Japan when he was 12). In addition to being in the middle of a major heat wave, we are in the midst of film festival season here in the city. 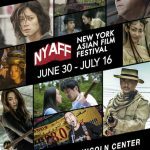 Specifically I’m talking about the current New York Asian Film Festival (NYAFF), which is in its 17th year! This year I have the honor of interpreting for several actors and directors during the festival, and so far I’ve worked on the films Dynamite Graffiti and The Hungry Lion. For the former, both director Masanori Tominaga and star Tasuku Emoto were on hand, and you can access a Facebook recording of their Q&A here. For the latter, director Takaomi Ogata attended the screening and his Q&A can be found here. Last night I caught day 1 of the New York Japan CineFest held at Asia Society. 2018 marks the seventh anniversary of the event, and it seems to get better every year. The lineup featured six short films that ranged in length from eight to 28 minutes, and included two documentaries. My favorite was the final film And So We Put Goldfish in the Pool from Makoto Nagahisa, which clo cked in at the longest 28 minutes but went by in a flash. 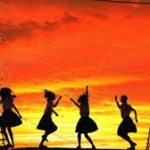 It is based on a true story of four 15-year old girls from a small town in Saitama who released 400 goldfish into their high school pool in order to escape the boredom of their daily lives. 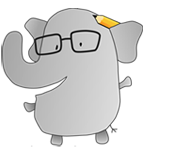 Its zany tone and fast-paced story kept the audience captivated and laughing. Despite its humorous tone, it poignantly addresses the universal feelings experienced during high school and certainly brought back memories of that time in my life. Last year it received the Short Film Grand Jury Prize at Sundance (you can watch the film via this link), and it was Nagahisa’s directorial debut. The HBO drama Westworld recently entered its second season, and while I a m not a regular viewer I tuned in as I had heard it would have a Japan focus. The show tells the story of life-like robots in a Wild West-themed amusement park, and the complications that arise when they become sentient. This time around the series is set during Japan’s Edo Period in a place called Shogun World. Great pains were taken to ensure accuracy, even down to the Japanese that would have been spoken at the time. And it doesn’t hurt that the lineup of Japanese actors includes standouts like Hiroyuki Sanada and Rinko Kikuchi, who play a ronin robot and lead geisha respectively. For more about Shogun World, check out this Japan Times article. This weekend I caught Kazuhiro Soda’s Inland Sea (港町) at the Film Society of Lincoln Center’s Art of the Real. The festival’s opening film about John McEnroe whet my appetite for more documentaries, and I was looking forward to seeing the latest from Soda after enjoying his film Campaign at Japan Society several years back. Inland Sea is set near the hometown of his wife Kiyoko Kashiwagi, who is also the film’s producer. They were both on hand to introduce the film and take part in a post- screening Q&A. In his introduction Soda shared that the film adheres to their Ten Commandments, which include tenets such as no research before shooting, not setting any themes or goals before editing, and paying for the production on their own (to the dismay of producer Kashiwagi). 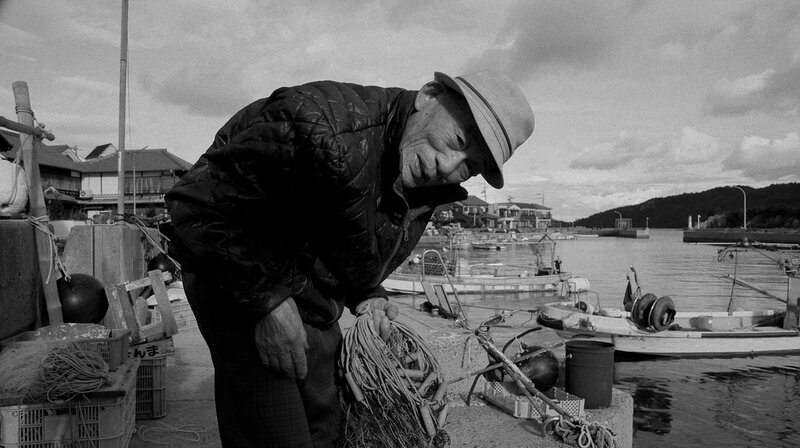 Inland Sea takes place in the port city of Ushimado in Okayama Prefecture, population 7000. Many of the younger residents have already left, and the documentary’s main subjects are the octagenarians Wai-chan and Kumiko, respectively a fisherman and the town crier. They are both captivating subjects, but as a cat lover I was most entranced by the stray felines who congregate at the home of transplants to the area who have been feeding them. I was engaged throughout the film’s two hour plus duration, but it definitely could have been cut in places, especially the long takes on the fishing boat. 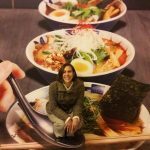 Written by freelance Writer/Interpreter/Translator Stacy Smith (Kumamoto-ken CIR, 2000-03), WIT Life is a periodic series about aspects of Japanese culture such as language, film, business, food and politics. Stacy starts her day by watching Fujisankei’s newscast in Japanese, and here she shares some interesting tidbits and trends along with her own observations. After interpreting in Manhattan Criminal Court earlier this week, I stopped for lunch in Chinatown and found myself with some time on my hands afterwards. 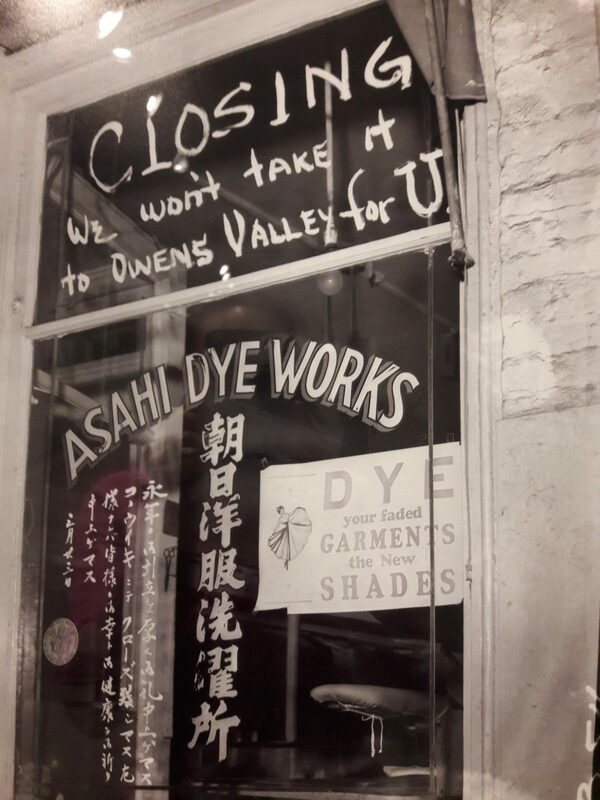 I decided to visit the International Center of Photography and was nicely surprised to find the exhibition Then They Came for Me: Incarceration of Japanese Americans during WWII (through May 6), a comprehensive portrayal of this reprehensible period in American history. It includes works from prominent photographers such as Dorothea Lange and Ansel Adams, letters and other personal mementos, and moving video testimonials from those who were incarcerated or have family members who had been. Written by professional Writer/Interpreter/Translator Stacy Smith (Kumamoto-ken CIR, 2000-03), WIT Life is a periodic series about aspects of Japanese culture such as language, film, business, food and politics. Stacy starts her day by watching Fujisankei’s newscast in Japanese, and here she shares some interesting tidbits and trends along with her own observations. Last September, Chelsea received a great addition to its art scene in the form of the Sato Sakura Gallery. This Japan-born museum has two locations (Fukushima/Tokyo) that specialize in 日本画 (Nihon-ga or traditional Japanese painting). This term and concept was created in response to 西洋画 (Seiyou-ga or Western painting), which made its way to Japan during the Meiji Era (1868). 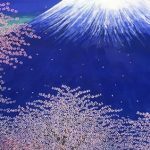 Today the idea of Nihon-ga can refer to both purely traditional Japanese painting, as well as new styles of painting that incorporate Western painting methods while remaining faithful to traditional Japanese painting techniques.